Don’t Miss it 52% off. Call Garrett Specialties today. 800-330-1510. California started banning plastic bags and joining the long line of cities, of more states are adding bag free measures is possibly New York. New York is another one that is considering on imposing a 10 cent fee on all plastic and paper grocery bags. Los Angeles was the first to impose this legislation. When I recently visited California I couldn’t believe while shopping at an upscale department store, I was asked if I had a bag for what I purchased and if not there was a 10 cent fee for a bag. I hadn’t heard of this one and I was floored. But I understand and think it is a great idea. We do not need more plastic to get caught in storm drains, litter our beaches, and pay extra dollars to haul plastic to landfills. We all can start now by using reusable bags. Now here is a giveaway that will not break the bank and you are doing something worth while. States Adding Bag Free Measures will encourage consumers to bring reusable bags with them to the stores. 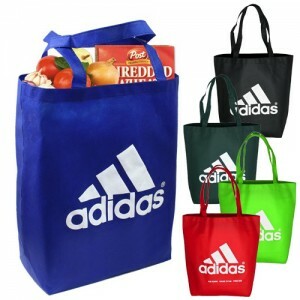 Garrett Specialties has a large selection of reusable bags at discount pricing. Has your your city thought about of adding bag free measures? Would you purchase reusable tote bags for your next giveaway? What are your suggestions?